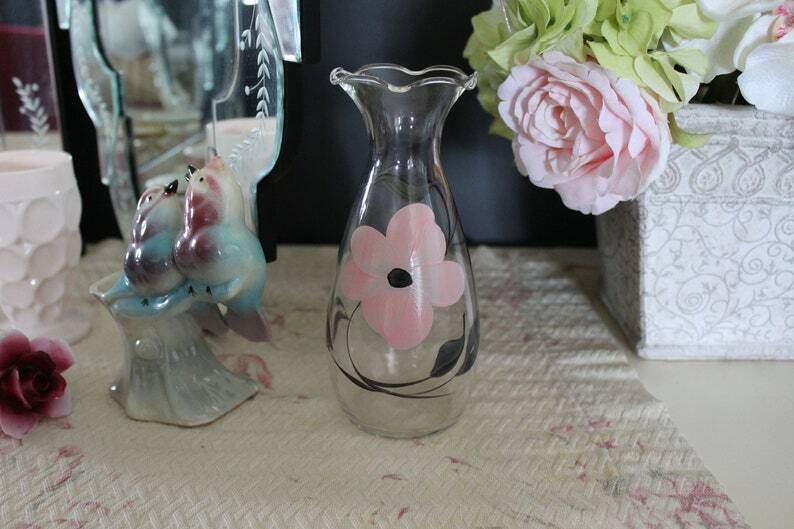 This vintage pink Gay Fad vase is hand-painted with a pink and black flower. It is made out of glass with a ruffled top. It might be Bartlett Collins, made sometime around the 1950s. It would look sweet in your fifties pink and black retro kitchen. It would also look nice in a nursery or garden room. It is in great vintage condition. There is a tiny rust speck on the side, likely from a wire stem (6th photo, about three o'clock). Please use your zoom for a good look.